Adenoids are situated at the junction of the roof and posterior wall of the nasopharynx. The inflammation of the pharynx in the adenoid region is referred as adenoiditis. Recurrent attacks of rhinitis, sinusitis or chronic tonsillitis may cause chronic adenoid infection. Thornwaldt's disease is an inflammation of the pharyngeal bursa appearing at the posterior median wall of the nasopharynx. 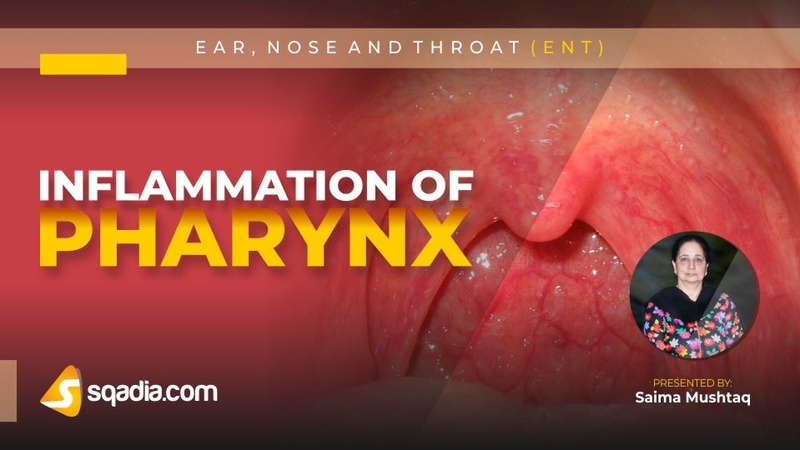 Inflammation of the pharynx in the back of the throat is referred as pharyngitis. 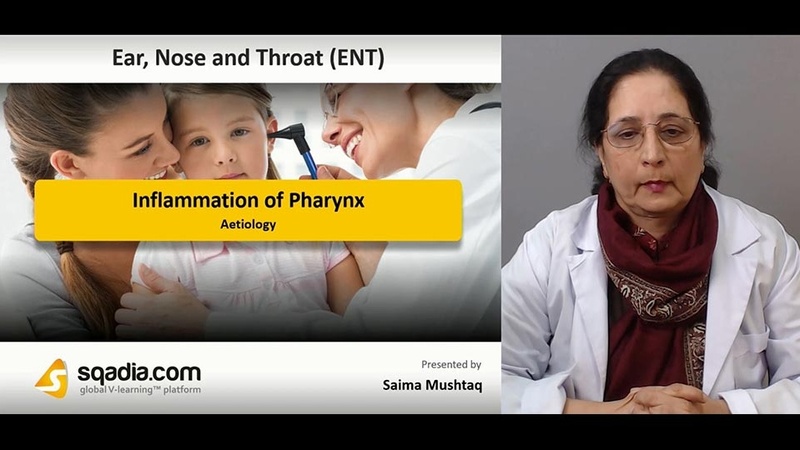 Pharyngitis may occur in different grades of severity. Milder infections present with discomfort in the throat, some malaise and low-grade fever. Moderate and severe infections present with pain in throat, dysphagia, headache, malaise and high fever. Very severe cases show oedema of soft palate and uvula with enlargement of cervical nodes. Viral infections play an important role in causing pharyngitis. Herpangina is caused by Group A coxsackie virus and mostly affects children. Infectious mononucleosis is caused by Epstein–Barr virus. Cytomegalovirus mostly affects immunosuppressed transplant patients. Fungal pharyngitis is seen in patients who are immunosuppressed or taking high doses of antimicrobials. Chlamydia trachomatis infection causes acute pharyngitis and can be treated by erythromycin or sulfonamides. Chronic pharyngitis is a chronic inflammatory condition of the pharynx, characterized by hypertrophy of mucosa. 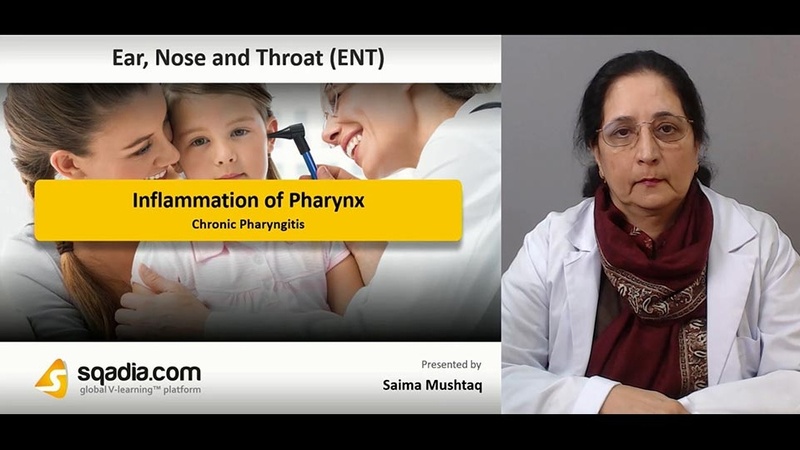 Chronic pharyngitis is of two types i.e. 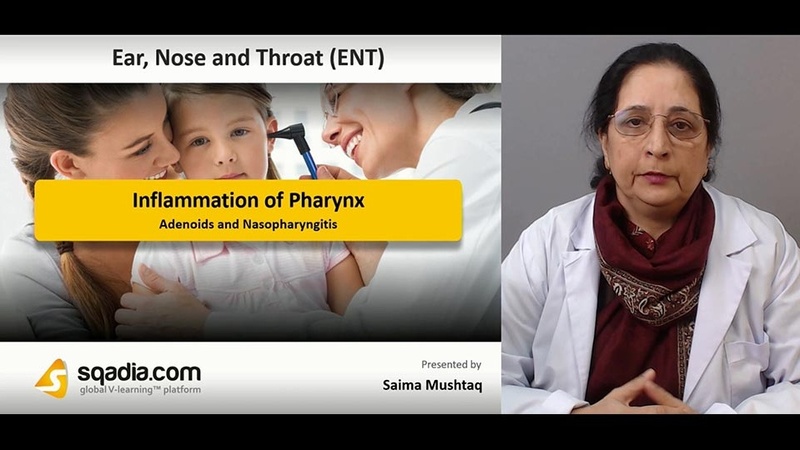 chronic catarrhal pharyngitis and chronic hypertrophic pharyngitis. A large number of factors are responsible for causing this disease such as chronic irritants, environmental pollution, faulty voice production. For treatment, aetiological factor should be sought and eradicated. Atrophic pharyngitis is a form of chronic pharyngitis often seen in patients of atrophic rhinitis. Dryness and discomfort in throat are the main complaints. Hawking and dry cough may be present due to crust formation. Another inflammation of pharynx is keratosis pharyngitis. It is a benign condition characterized by horny excrescences on the surface of tonsils, pharyngeal wall or lingual tonsils.